1 The Peerage of England, Scotland, and Ireland, Vol. 1, London: Printed for W. Owen, L. Davis, and J. Debrett (1790), 295. 2 thePeerage.com: A Genealogical Survey of the Peerage of Britain as Well as the Royal Families of Europe, (accessed 03/31/2011). 3 Brydges, Sir Egerton, Collins's Peerage of England: Genealogical, Biographical, and Historical, Vol. 4, London: T. Bensley, Printer (1812), 243. 4 Clark, J.C.D., editor, The Memoirs and Speeches of James, 2nd Earl Waldegrave 1742-1763, Cambridge, United Kingdom: Cambridge University Press (2002), 22. 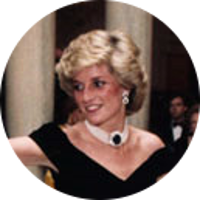 5 Evans, Richard K., The Ancestry of Diana, Princess of Wales , Boston: New England Historic Genealogical Society (2007), 71. 6 Urban, Sylvanus, The Gentleman's Magazine and Historical Chronicle: From July to December, 1817, Vol. 122, London: Nichols, Son, and Bentley (1817), 114. 7 Wikipedia, "James Waldegrave, 1st Earl Waldegrave", (accessed 03/31/2011).